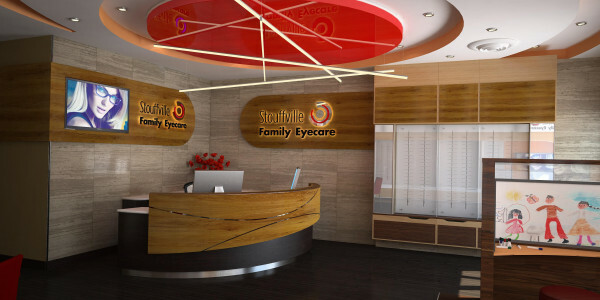 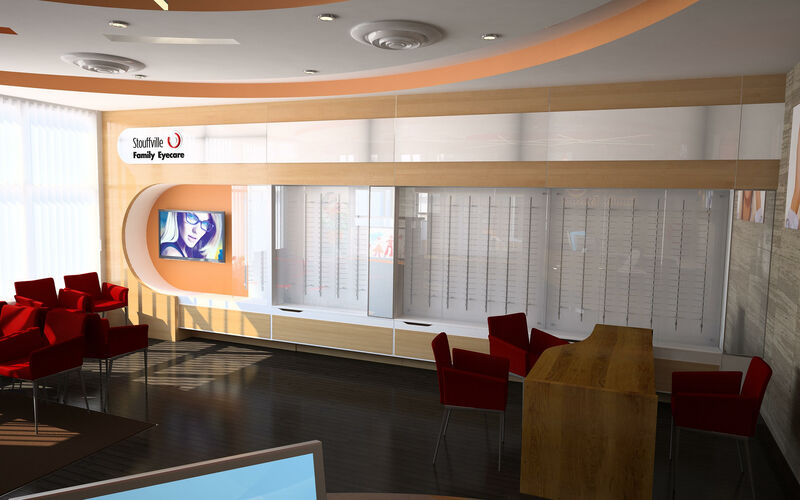 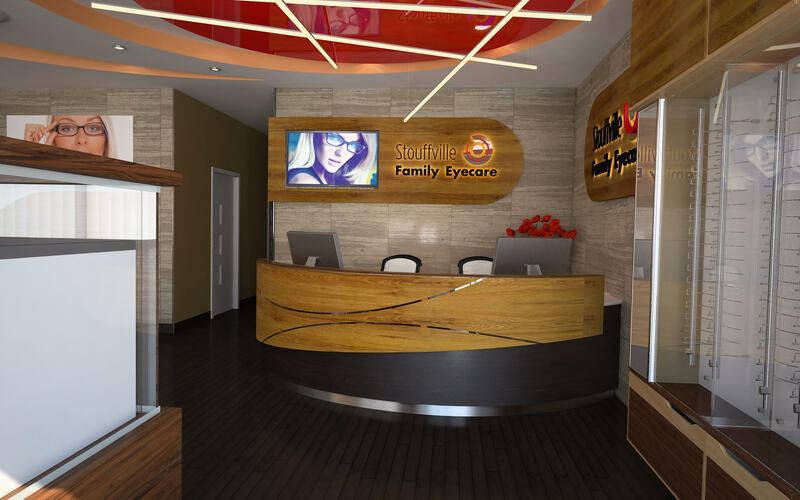 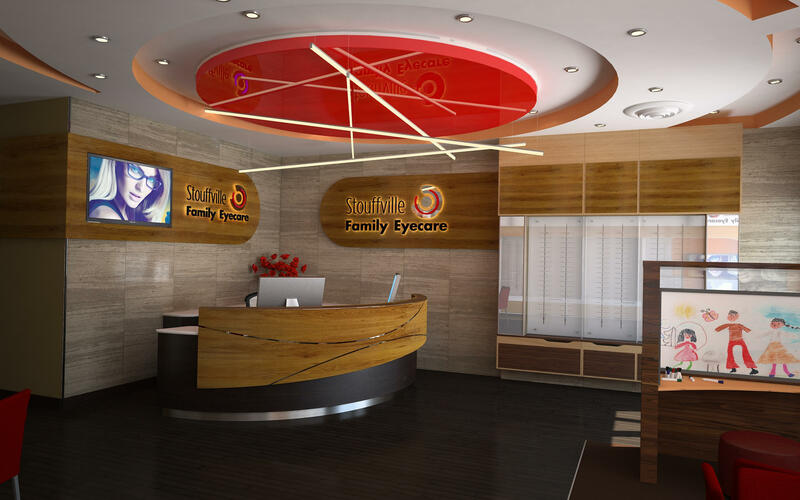 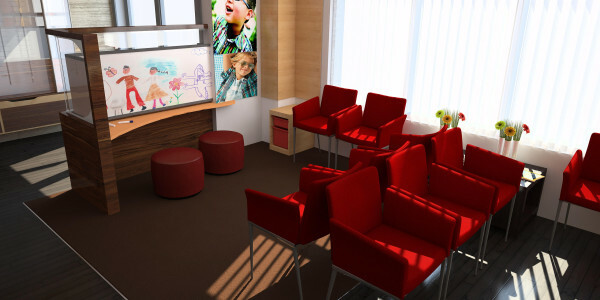 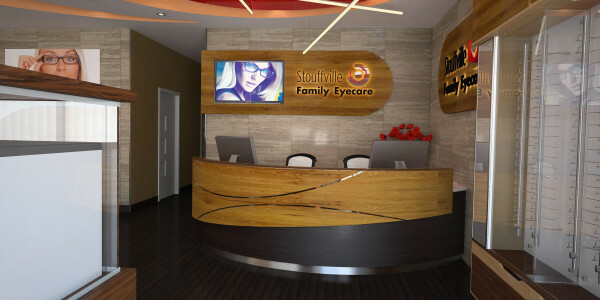 This optometry office in Stouffville is definitely unique to say the least considering it boasts a remarkably beautiful and functional design complete with 3D like renderings. 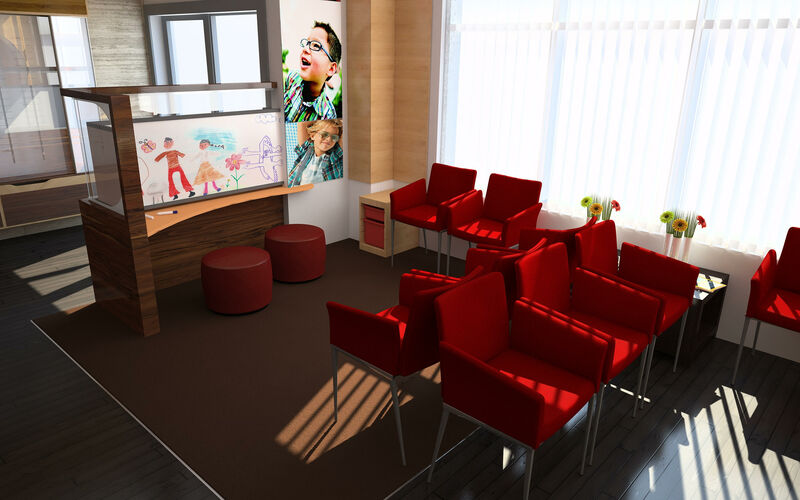 This design and build project was completed beyond expectations on a quick timeline, and involved a completely new build, four walls and a floor. 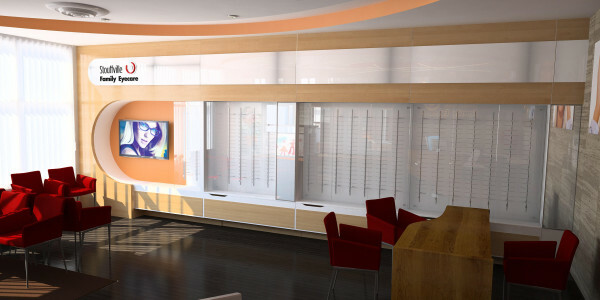 In addition, an intricate custom designed ceiling was installed to match the millwork combined with bespoke lighting and fixtures.